Globe design yo-yo. 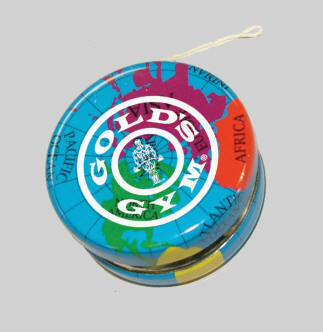 Features a delightful yo-yo with the globe design on both sides. Diameter of yo-yo is approximately 2". Other yo-yo designs available . Please inquire. Approximate Size Of Product->Diameter 2", Thickness 1"
Case Pack=720 Pieces Case Weight=48 Lbs Case Size Approximately 22" x 18" x 12"